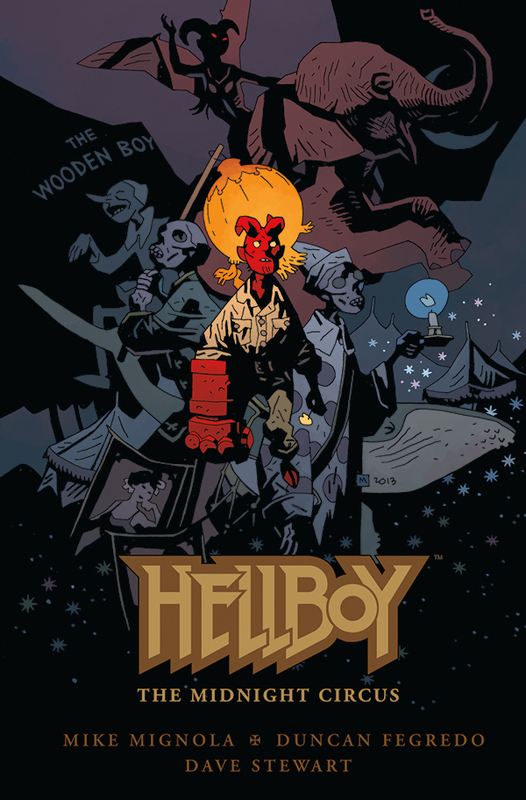 Following up on a collaboration which spanned multiple series, leading up to Mike Mignola’s return to both writing and drawing his beloved demon, British artist Duncan Fegredo will return to tell a story about a young Hellboy’s first brush with hell. Out in October, Hellboy: The Midnight Circus is a beautifully drawn 56-page graphic novel that finds a young Hellboy runs away from the B.P.R.D., only to stumble upon a weird and fantastical circus and the few demons from hell who inhabit it. “This one owes a lot to Ray Bradbury’s Something Wicked This Way Comes (pretty much my favourite circus story of all time), but even more to Pinocchio — especially all the spooky, disturbing bits Disney left out. And the work Duncan is doing here is just flat-out amazing,” said Mike Mignola. “Growing up is tough enough, even when you don’t know the weight of the world rests on the future of your yet-diminutive shoulders. Mike has woven a tale of coming of age for the young Hellboy made all the more poignant for knowing his future. 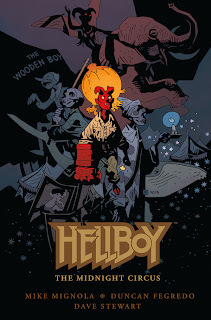 Wonderful, magical, terrifying, this is epic Hellboy on a smaller stage,” Duncan Fegredo added.